Working outdoors this summer? It’s all about water, rest, shade and knowing about the heat related problems and how to protect yourself. Every year, thousands of workers become sick from exposure to heat, and some even die. Heat illnesses and deaths are preventable. Employers are responsible for providing workplaces that are safe from excessive heat and training to their employees how to manage it. Heat related problems occur when the body’s normal temperature-reducing mechanisms get overwhelmed, especially during vigorous physical activity or working under direct sunlight, and become inefficient or stop working. The body normally cools itself by sweating. During hot weather, especially with high humidity, sweating isn’t enough. Body temperature can rise to dangerous levels if precautions are not taken such as drinking water frequently and resting in the shade or air conditioning. Heat illnesses range from heat rash and heat cramps to heat exhaustion and heat stroke. Heat stroke requires immediate medical attention and can result in death. Employers should establish a complete heat illness prevention program to prevent heat illness. This includes: provide workers with water, rest and shade; gradually increase workloads and allow more frequent breaks for new workers or workers who have been away for a week or more to build a tolerance for working in the heat (acclimatization); modify work schedules as necessary; plan for emergencies and train workers about the symptoms of heat-related illnesses and their prevention; and monitor workers for signs of illness. Workers new to the heat or those that have been away from work and are returning can be most vulnerable to heat stress and they must be acclimatized. Any worker exposed to hot and humid conditions is at risk of heat illness, especially those doing heavy work tasks or using bulky protective clothing and equipment. Some workers might be at greater risk than others if they have not built up a tolerance to hot conditions, including new workers, temporary workers, or those returning to work after a week or more off. This also includes everyone during a heat wave. Industries most affected by heat-related illness are: construction; trade, transportation and utilities; agriculture; building, grounds maintenance; landscaping services; and support activities for oil and gas operations. Keep your colleagues and yourself safe from heat hazards such as heat stress, heat exhaustion, and heat stroke. Follow these simple guidelines for sun protection and safe hot weather work practices. Need some extra training? 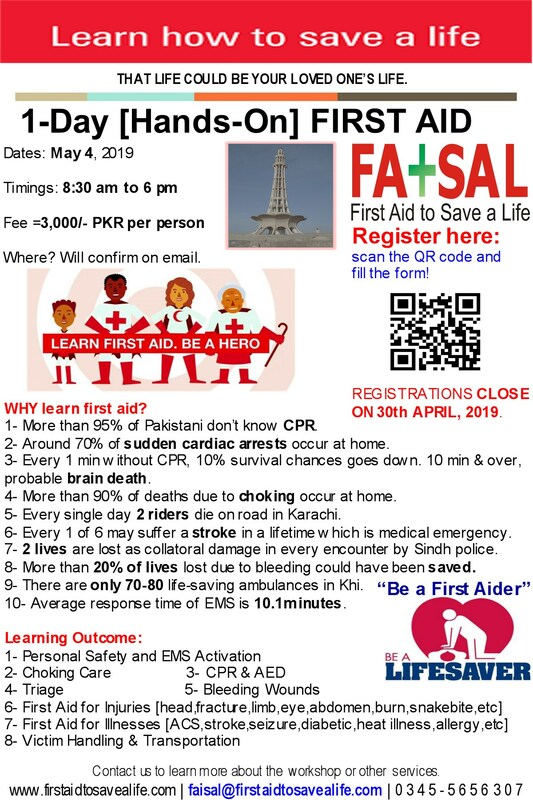 First Aid to Save a Life (FATSAL) offers a Heat Stress course excellent for workers in all industries. The course uses a common-sense approach and features preventive measures for reducing the chances of suffering from heat-related disorders such as heat cramps, heat exhaustion, and heat stroke. This entry was posted in First Aid CPR and AED and tagged an effective heat illness prevention program, Breaks, exposure to heat and first aid, First Aid for Heat Illness, first aid training for summer, heat acclimatization, heat cramps, heat exhaustion, Heat Hazards, Heat Illness, heat illness and first aid, heat illness and rest, heat illness and shade, heat illness and water, heat illness and workload management, heat illness prevention program, heat illness prevention program to prevent life loss, heat rash, heat related problems and employers responsibilities, heat related problems and personal protection, heat related problems and safety instruction, heat related problems and safety precautions, Heat Safety, Heat Safety Precautions, heat stress, heat stress training, heat stroke, heat-related disorders, hot and humid conditions and first aid, hot and humid conditions and work management, hot and humid conditions and work schedule management, hot climate safety training, How can heat illness be prevented, Hydration, Shade, summer and first aid training, Sun Protection, symptoms of heat-related illnesses, symptoms of heat-related illnesses and their prevention, working outdoor. Bookmark the permalink.